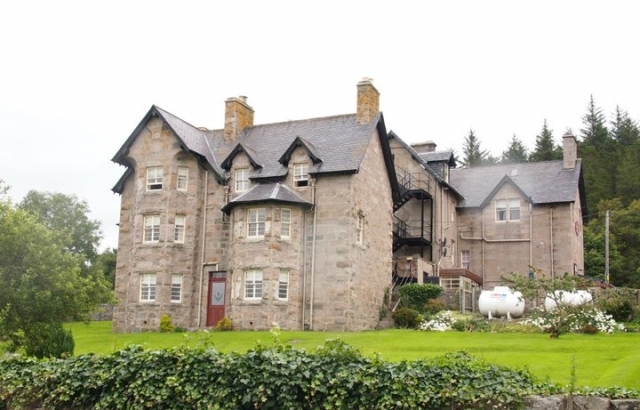 Built in 1854 as a Shooting Lodge for the Duke of Sutherland, the location is a destination in itself, on the far north Sutherland coastline, on the shore of Kyle of Tongue, with stunning views of Ben Loyal, Ben Hope and the ruin of Castle Varrich. For the past ten years, Lorraine and David Hook have invested time, energy and finance to tastefully renovate the traditional Lodge to create a charming, contemporary Inn while retaining its authentic heritage with antique furniture, taxidermy, wood panelling and log fires. This is a place to spend a few nights with its homely bedrooms (tweed fabrics, armchairs, sherry decanter), cosy lounge to relax and read, a speciality gin and whisky bar as well as the Brass Tap Pub – the heart of the community buzzing with locals, non-residents and hotel guests. Superb pub grub (burgers, fish and chips, mussels); alternatively, a more formal dinner in the restaurant with a menu showcasing local seafood, beef, game and inventive vegetarian dishes. Experience a healthy buffet as well as a hearty Highlander breakfast before exploring the region for outdoor adventures - hiking, biking and angling around National Nature Reserves, Ben Loyal, the UK's most northerly Munro, Ben Hope, and walks along the The Sutherland Way. This north coastline boasts glorious sandy beaches - Coldbackie, Talmine, Achininver and Torrisdale Bay. Tongue is ideally located on the award winning North Coast 500 Route enticing guests from across the globe to drive this spectacular Road Trip - which has extended the busy summer season through to November and beyond. The hotel closes just before Christmas each year, and then opening from St. Valentine’s Day – perfect for a romantic winter warmer break. Previous winners of Small Country and Romantic Hotel awards, Tongue Hotel is a destination in itself due to its historic charm, Highland Hospitality and wild unspoilt landscape, which attracts repeat guests time and again. The tag line “Worth the Journey” is undoubtedly true.